Festo's latest addition to its CPX Modular Automation Platform is the CPX-2ZE2DA-PI Counter Module. System builders can now incorporate counting capability simply by plugging a CPX Counter Module directly into their CPX system; this eliminates the need for an external counter and the associated costs it would present in terms of hardware and software integration effort, space requirement, cabling and installation time. Once installed, the Counter Module’s high I/O, operational mode and parameterization flexibility allows engineers and machine builders to set up sophisticated counting applications with minimal effort. These can be implemented directly on the CPX system with a wide range of plant sensors and actuators far more rapidly than was previously possible. 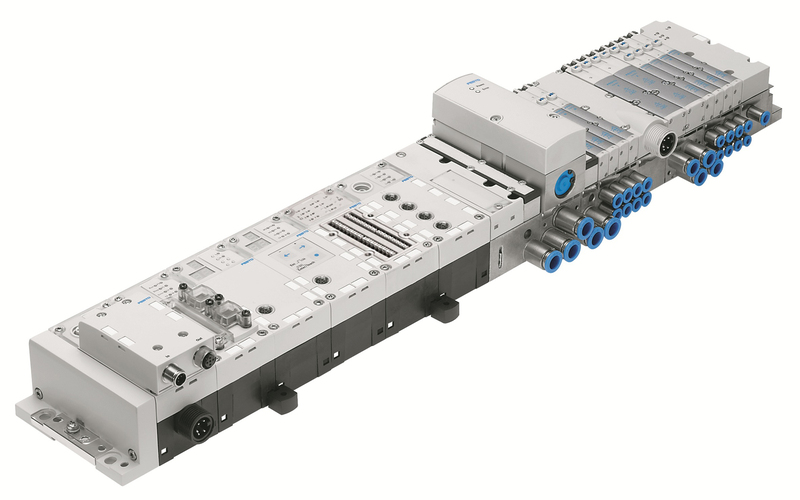 Festo’s CPX platform integrates a wide choice of pneumatic and electrical, analogue and digital I/O. CPX systems configured for specific requirements are delivered pre-built, tested and ready for installation, enabling system integrators to meet tight timeframes and budgets. For additional flexibility, the CPX platform can operate as either a self-contained industrial PLC, or as a local unit on a Fieldbus or Industrial Ethernet-based distributed system. 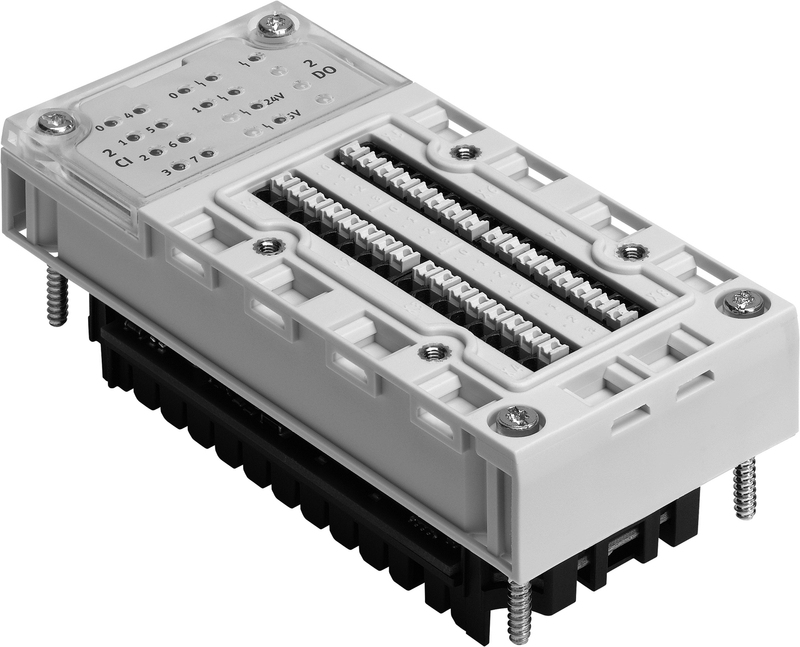 In addition, a wide choice of I/O and connector modules makes interfacing to process sensors and actuators easy. The CPX Counter Module has two channels, allowing compact and cost-effective solutions for applications with multiple sensors. Each channel accepts most 24 V and 5 V pulse and single-ended or differential incremental encoders, as well as SSI absolute types; this facilitates a wide range of length, position, speed and angular position measurement applications. A direction signal, or 90˚ phase shift inputs, on each channel allow extraction of direction information for incremental encoders. Count continuously, count once and periodic count modes at 24V and 5V levels are supported with pulse count frequencies to 1MHz. Output functions are also well supported; these include configurable 24V digital, pulse, pulse train, pulse-width modulation (PWM), On/Off control with delay and frequency output to 20kHz. In addition, by pairing the Counter channels 24V DC motors can be controlled. The Counter Module has features to improve the quality of its results. These include hysteresis to overcome encoder fluctuations, and limit monitoring and diagnostics. For ease of use and added flexibility, parameterisation of each channel for its input and output connections and functionality can be managed via a laptop using Festo’s free to download FMT software, as are commissioning and diagnostics. IP-rated CPX systems using the Counter Module can be mounted directly onto the machine being controlled rather than relegated to a cabinet, as the module can achieve IP65-rated ingress protection with an optional cover. This allows engineers to design more compact, reliable and cost-effective systems with reduced cabling requirements. The module features Festo’s new push-in connection technology, which makes connection to the counters’ inputs and outputs quick and easy. The Counter Module is designed for applications within the packaging, drive engineering, process, food and drink, mechanical engineering and other industries. One example concerns rotary or in-line filling machines of up to 18 nozzles each with flowmeters for accurate volume dispensing. The Counter Module counts the flowmeter pulses and controls outputs to the nozzle shut-off valves. Other examples include fast, bus- and control-independent reactions for controlling fast-switching valves, valve opening times and direction changing for fast drives, and pulse-width modulation control for thermostat temperature settings, drive speed and lamp brightness.